China has a long history of censorship. Indeed, they have in place a massive censorship apparatus (Great Firewall of China) that effectively censors what its citizen can access online. They have blocked many international services for their citizenry including Google, Yahoo, Facebook, Twitter, and many more. Hence if you are traveling to China, brace yourself for a real blackout. However, in this article, We’ll show you how to bypass the notorious Great Firewall using the best VPN for China to access all your desired content. But before then, let’s take a close look at the Great Firewall of China as regards what it is, and how it works. 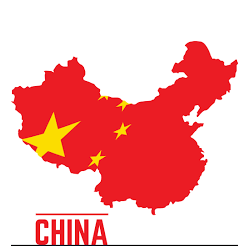 The massive Chinese censorship apparatus, The Great Firewall of China is part of the Golden Shield Project initiated in 1998 by the People’s Republic of China. The project, also known as the National Public Security Informational Project involved the initiation of several projects including the Security Management Information Systems, Criminal System, as well as the Great Firewall of China. The project aimed at enhancing network security. However, the Communist Party (CCP) saw an opportunity to control the Internet. The Great Firewall of China is among the largest security network systems in the world. Many people across the world do wonder how the Great Firewall of China works. All Internet Service Providers in the country are licensed and controlled by the government through the Ministry of Industry and Information Technology. That way, the government can monitor and manipulate every content that goes in or goes out of China. The technique involves filtering web traffic based on a URL filtering database. Specific keywords are identified and targeted by blocking. DNS poisoning is a method used to make websites inaccessible. Usually, when you connect to a site, the computer contacts the DNS server to request for the IP address. The Great Firewall of China ‘poisons’ the DNS responses thus making the websites inaccessible. Laws and regulations make the Chinese firms answerable for the content that originates from their portals. Hence to be on the safe side and avoid excessive fines, and even shut down, the firms proactively establish enforcement teams to ensure that their content is devoid of any prohibited topics. The Chinese government has employed hundreds of thousands of civilian workers to help censor what they call ‘harmful content.’ Censor workers monitor online content and report any potential violations. At times, sites have had to provide back-end access to enable the censor workers to edit content directly. In fact, with AI (Artificial Intelligence), the censor workers could edit a website’s content remotely. Due to the intense censorship in China, many people in the country resort to using Virtual Private Networks (VPNs) to help circumvent the Great Firewall. However, the Great Firewall is alive to this fact, and so it works by identifying “VPN Looking” traffic and killing off the connection to prevent it from connecting to prohibited foreign services. Hence the Great Firewall can block international services. The above list of blocked services shows you the extent of internet censorship in China. So let’s tackle what you’ve been anxiously waiting for! The solution on how to bypass the Great Firewall of China. Download the VPN and launch the application on your preferred device. Log in with your password and user name. Now that you know a VPN can help you to bypass the Great Firewall. You need to know three important facts about using a VPN to circumvent the Great Firewall of China. Since VPNs are blocked in China, it helps to download your VPN for China before you arrive in China. The best VPN for China should have obfuscation servers. The stealth technology makes the VPN traffic to appear as regular HTTPS making it undetectable by the Great Firewall. Not all VPNs have the ability to circumvent the Great Firewall. Hence, we provide you with 5 VPN’s that we’ve tested and found to be bypassing the Great Firewall of China. After the intense crackdown on VPN services, we decided to test and establish which VPN’s succumbed to the Great Firewall onslaught. We were shocked to find out that CyberGhost is no longer bypassing the Great Firewall of China. Even PureVPN! 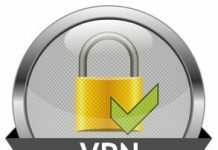 Many more VPN services threw in the towel. Hence, we are much obliged to present to you the 5 best VPN services for China that we tested to bypass the Great Firewall of China in 2019. NordVPN is an excellent VPN for bypassing the Great Firewall of China. It will help you to get around the Chinese massive censorship apparatus. The VPN has obfuscation servers which camouflage the NordVPN traffic as regular HTTPS traffic enabling it to bypass the Great Firewall undetected. 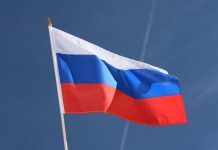 The NordVPN obfuscation servers also work in other internet censored countries like Russia, UAE, Qatar, Iran, Belarus, and many more. NordVPN has lots of features. To begin with, the VPN has more than 4895 servers in over 62 countries across the world. Such an extensive server network is ideal for unblocking content around the globe. Also, connecting to the nearest server will provide you with fast speeds. NordVPN implements AES 256-bit encryption which can take care of hackers because of its uncrackable nature. The VPN also provides its users with double VPN a feature that encrypts your packets of data twice to provide you with enhanced encryption, anonymity, and security. If you need more security and privacy, NordVPN has the Tor over VPN feature that works by routing your traffic through the Tor network. That way, you achieve complete anonymity since your traffic is routed through several Tor hops before reaching your desired destination. We are much obliged to mention that NordVPN is located in Panama which is an excellent privacy location devoid of government spying. The VPN is a Strictly No Logs VPN service meaning even if they are pressured to release your logs, they won’t have any. NordVPN does not leak, and they allow you to connect up to 6 devices concurrently. Their customer support is top-notch. Currently, they have a killer sale with a 75% discount at only $2.75/month. ExpressVPN is another excellent VPN for circumventing the Firewall of China. 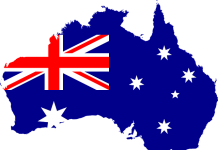 To begin with, the VPN has its base in the British Virgin Islands (Offshore privacy) which is an excellent VPN location as regards privacy. They have more than 3000 servers in more than 94 countries. Some of their servers are in areas such as HongKong, and Nepal, which are strategically close to China. Connecting to such servers means you’ll have fast speeds. Talking of speeds, ExpressVPN is the fastest VPN in the industry that’s why its famed for streaming content. Indeed, the VPN works with Netflix, Hulu, Amazon Prime, and many more streaming services. They also allow torrenting on their network and have optimized servers for torrenting. 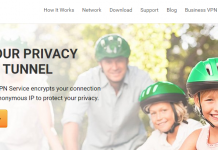 Security-wise, ExpressVPN uses the best-in-class 256-bit encryption to protect your data. The VPN is completely anonymous as they allow you to pay with Bitcoin, they do not leak your data (No DNS, IPv6, WebRTC leaks), and you can use Tor to browse ExpressVPN’s hidden .onionsite. 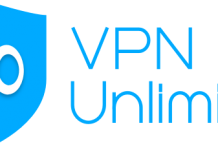 The VPN supports all the major VPN protocols, and allow concurrent connection up to 3 devices with a single account. Your subscription is covered by a 30-day money back guarantee. VyprVPN has its robust and unique Chameleon technology that’s excellent at bypassing the Great Firewall of China. 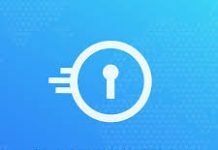 The VPN boasts of some 700 servers in 70 worldwide server locations which are vital for ensuring that your Geo-location never comes in the way of your internet experience. The VPN has blazing fast speeds attributable to the fact the VPN operates 100% without third parties. VyprVPN works across all devices hence you get VPN apps for iOS and Android for your mobile devices. You can also download VyprVPN for Windows as well as VPN for Mac. Other benefits include unlimited server switching, no download caps, unblocking streaming services, and an excellent 24x7x365 support team. They allow concurrent connection up to 5 devices using a single account. We can verify that TorGuard is bypassing the Great Firewall of China in 2019. TorGuard dodges the Great Firewall of China using its invisible SSL stealth VPN technology. They offer their users with OpenVPN obfuscation, OpenConnect, Stunnel, and Shadowsocks. TorGuard provides a massive network of more than 3000 global servers in more than 50 countries. You also get unlimited bandwidth, as well as zero throttling regardless of where you connect from. Torrenting lovers cannot get a better deal elsewhere. The VPN was explicitly created with torrenting in mind hence the name TorGuard. It is excellent at hiding your IP address so you Can surf the internet anonymously. They keep no logs and allow simultaneous connection up to 5 devices. Ivacy is becoming a hit with many users across the world owing to their reasonable pricing and for the fact that they provide all the features endowed in the leading VPN services like NordVPN and ExpressVPN. The VPN currently works to bypass the Great Firewall of China. They offer a vibrant network of servers in more than 100 countries. In fact, Ivacy has servers in China, one in Beijing, and another one in Shangai. Hence, you can get fast speeds by connecting to the Ivacy servers in China. Thus, Ivacy makes it to our list of the 5 best VPNs for China that are working to unblock the Great Firewall of China in 2019. The Great Firewall of China is not relenting on their intense censorship anytime soon. Hence, if you are traveling to China, it is imperative that you download one of the best VPNs for China before arriving in China. The VPN will help you to access all your desired online services as if you were outside of China.